WHAT ARE UNSECURED (PERSONAL) PROPERTY TAXES? Unsecured (Personal) Property Taxes are taxes on boats, Jet Skis, aircrafts, business fixtures, business furniture, and business machinery. Other Assessments that are by law collected as Secured Property Taxes, but when defaulted are collected as Unsecured (Personal) Property Taxes (e.g., mobile homes and structural improvements on leased land). WHAT IS THE LIEN DATE? Pursuant to California Revenue and Taxation Code Section 2192, the lien date is January 1. If you owned the unsecured (personal) property on this date, you are the owner of record; therefore, you are responsible for paying the Unsecured (Personal) Property Taxes, even if you sold, disposed of, or removed the property after January 1. WHEN ARE ANNUAL UNSECURED PROPERTY TAX BILLS MAILED? The Treasurer and Tax Collector mails Annual Unsecured Property Tax Bills between March 1 and June 30 of each year. If you do not receive your Unsecured Property Tax Bill by July 15, you may contact us at unsecured@ttc.lacounty.gov or (213) 893-7935, between 8:00 a.m. and 5:00 p.m. Pacific Time, Monday through Friday, excluding Los Angeles County holidays. IMPORTANT NOTE: Pursuant to California Revenue and Taxation Code Section 2910.1, failure to receive your Annual Unsecured Property Tax Bill shall not relieve you of the obligation to pay the bill, penalties and costs imposed by this Code. WHEN ARE UNSECURED (PERSONAL) PROPERTY TAXES DUE? Pursuant to California Revenue and Taxation Code Section 2922, Annual Unsecured (Personal) Property Taxes are due upon receipt of the Unsecured Property Tax Bill and become delinquent after 5:00 p.m. Pacific Time on August 31. If the delinquency date falls on a Saturday, Sunday, or a Los Angeles County holiday, the Treasurer and Tax Collector extends the delinquency date to the close of business on the next business day. 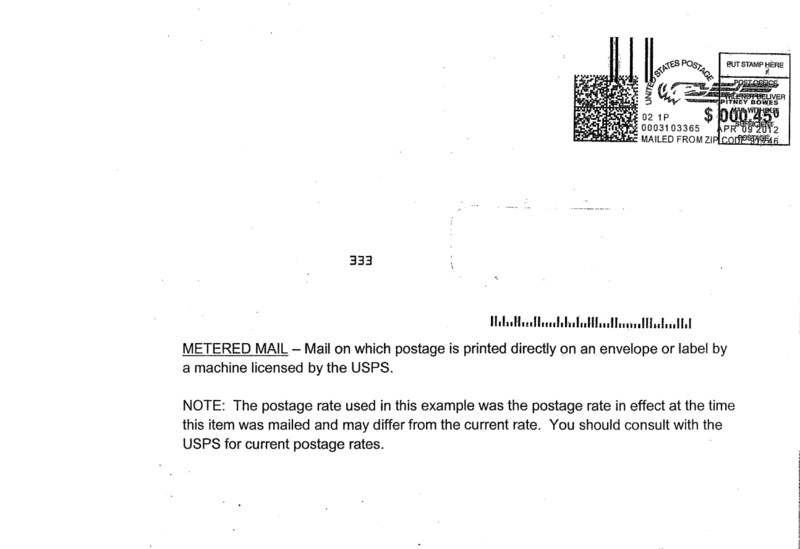 We caution taxpayers who send their payments by mail that the United States Postal Service only postmarks certain mail depending on the type of postage used and may not postmark mail on the same day taxpayers deposit envelopes. To assist taxpayers in understanding how to avoid penalties that could result from postmark issues, we have compiled important information on how to Avoid Penalties by Understanding Postmarks on our website. WHAT WILL HAPPEN IF I DON’T PAY MY UNSECURED PROPERTY TAX BILL BY THE AUGUST 31 DELINQUENCY DATE? Pursuant to California Revenue and Taxation Code Section 2922, we will impose a 10 percent penalty plus a $20 Notice of Enforcement cost, if we receive your payment after 5:00 p.m. Pacific Time on August 31 or your payment is United States Postal Service postmarked after August 31. Starting the first day of the third month after the delinquency date, we will also impose an additional $29 Notice of Lien collection cost and penalties of 1.5 percent per month until the taxes are paid in full. WHAT IF I DISAGREE WITH MY UNSECURED PROPERTY TAX BILL? If you disagree with your Unsecured Property Tax Bill, because the assessee name, property being assessed and/or value of the property is/are incorrect, you may contact the Los Angeles County Office of the Assessor (Assessor) at helpdesk@assessor.lacounty.gov or (213) 974-3211. However, we strongly recommend that you pay your Unsecured Property Tax Bill (property tax bill) while you are inquiring about the validity of the property tax bill with us or with the Assessor to avoid penalties. 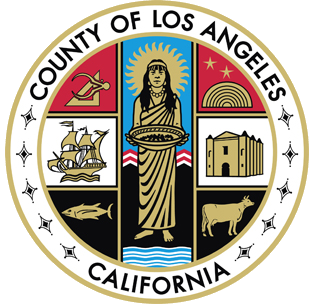 Should the Assessor cancel your property tax bill or reduce your property taxes, the Los Angeles County Auditor-Controller will issue you a refund. DO I NEED TO PAY MY UNSECURED PROPERTY TAX BILL WHILE APPEALING OR TALKING WITH THE OFFICE OF THE ASSESSOR ABOUT A REDUCTION IN THE VALUE ASSESSED? Yes, we strongly recommend that you pay your property tax bills prior to the delinquency date to avoid penalties, additional costs, liens, and/or collections. Should the Unsecured (Personal) Property Taxes be reduced or deleted later, the Los Angeles County will issue you a refund. I SOLD MY PROPERTY (BUSINESS, BOAT, OR PLANE) AND STILL RECEIVED AN UNSECURED PROPERTY TAX BILL. WHAT SHOULD I DO? Pursuant to California Revenue and Taxation Code Section 2192, taxes for unsecured (personal) property are for the owner of record as of January 1 (lien date) of each year. If you owned the property on January 1 of any given year and you received an Unsecured Property Tax Bill between March 1 and June 30 of the same year, you are responsible for the payment of the bill. If you were NOT the owner as of January 1, you should contact the Assessor at helpdesk@assessor.lacounty.gov or (213) 974-3211. We strongly recommend that you pay your Unsecured Property Tax Bill (property tax bill) while you are inquiring about the validity of the property tax bill with us or with the Los Angeles County Office of the Assessor (Assessor) to avoid penalties. Should the Assessor determine the tax assessment was invalid or reduced, the Los Angeles County Auditor-Controller will issue you a refund. IMPORTANT NOTE: Unlike real property such as your home, sales of unsecured (personal) property such as Jet Skis and boats do not always go through escrow; as such, property taxes may not be considered. For this reason, it is important that you contact the Assessor either at helpdesk@assessor.lacounty.gov or (213) 974-3211 to inform the Assessor of the change of ownership. There is NO PRORATION of Unsecured (Personal) Property Taxes based on the ownership period. If you owned the unsecured (personal) property on the January 1 lien date, you are the owner of record; therefore, you are responsible for paying the Unsecured (Personal) Property Taxes, in full even if you sold, disposed of, or moved the property after January 1. HOW CAN I CONTACT SOMEONE IN THE DEPARTMENT OF TREASURER AND TAX COLLECTOR REGARDING MY UNSECURED PROPERTY TAX BILLS? If you have any questions on the ownership change and assessment value of your unsecured (personal) property, you may contact the Los Angeles County Assessor at helpdesk@assessor.lacounty.gov or (213) 974-3211. IF I AM UNABLE TO PAY THE ENTIRE AMOUNT DUE, CAN I MAKE PARTIAL PAYMENTS FOR MY UNSECURED (PERSONAL) PROPERTY TAXES? Yes, you can make partial payments on your Unsecured (Personal) Property Taxes. However, after the delinquency date, we will impose all applicable penalties, which include the 10 percent penalty, $49 ($20 Notice of Enforcement and $29 Notice of Lien) collection cost, and an additional 1.5 percent penalty per month until the taxes are paid in full. Pursuant to California Revenue and Taxation Code Section 2927.6, we apply payments in the following order: costs, penalties, and tax. Therefore, any remaining unpaid tax is subject to all applicable penalties. 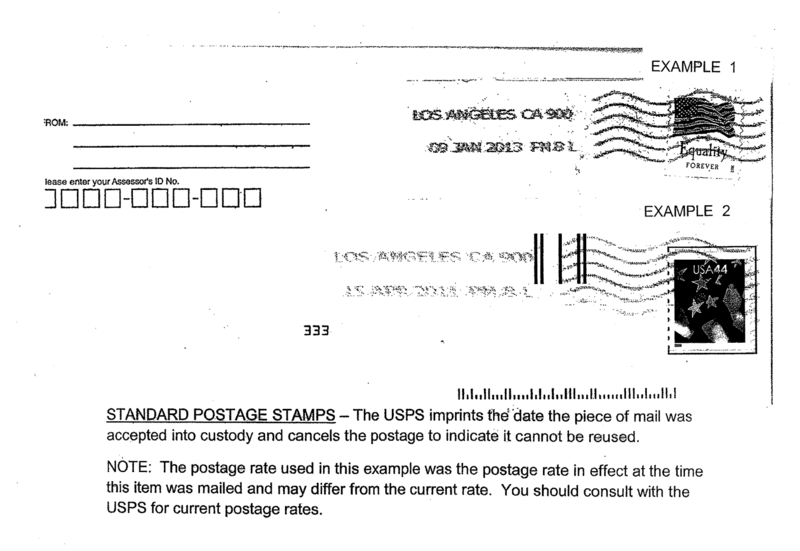 Payments mailed to an address other than the address listed above, including any Los Angeles County Office of the Assessor, received after the delinquency date are delinquent and subject to penalties. IMPORTANT NOTE: Unsecured Property Tax Bill Numbers change every year. When making payment, please write the Roll Year/Bill Number of your Unsecured Property Tax Bill on the face of your check. This will ensure that we apply your payment to the bill you intended. The Bill Number is an 8-digit number, beginning with “4,” located on the top right corner of your Unsecured Property Tax Bill, next to the “Roll Year” field. CAN I PAY MY UNSECURED (PERSONAL) PROPERTY TAXES WITH A CREDIT/DEBIT CARD? No, we do not accept credit/debit card, online or over-the-telephone payments for Unsecured (Personal) Property Taxes at the current time. You must pay your Unsecured Property Tax Bill by mail or in person. CAN I USE MY BANK’S ONLINE BANKING OR ONLINE BILL PAYMENT SERVICES TO PAY MY UNSECURED (PERSONAL) PROPERTY TAXES? We recommend that you DO NOT use these services to pay Unsecured (Personal) Property Taxes. 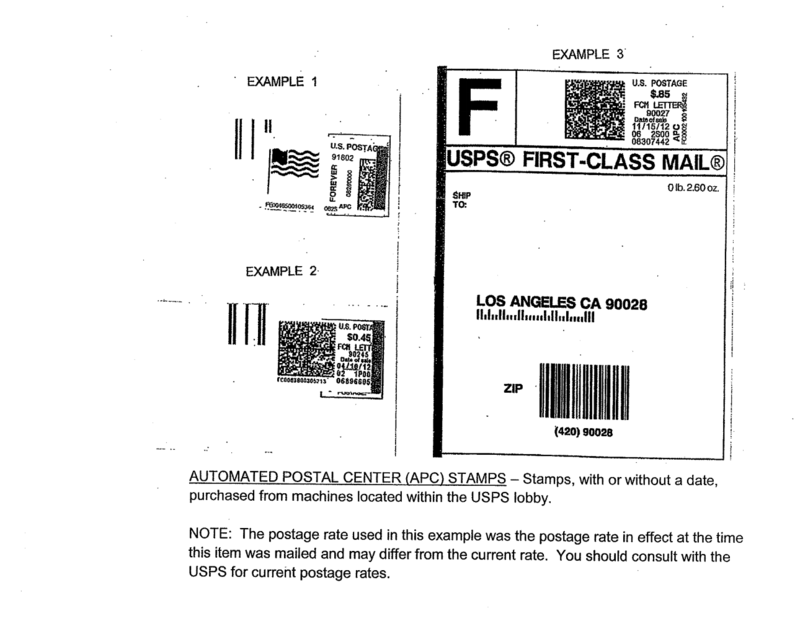 The reason is that California Revenue and Taxation Code Section 2512 requires that the Treasurer and Tax Collector process property tax payments, received after the delinquency date, as of the date of the United States Postal Service (USPS) postmark. 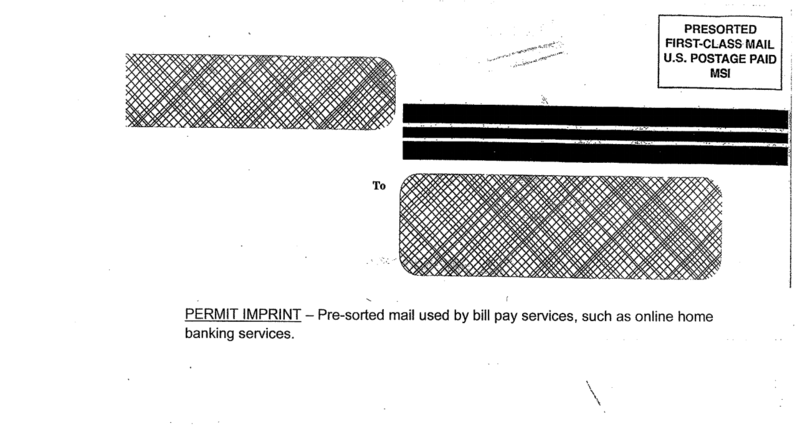 Banking institutions use permit imprint presorted envelopes, which the USPS does not postmark, i.e., bank envelopes do not have USPS postmark on them. 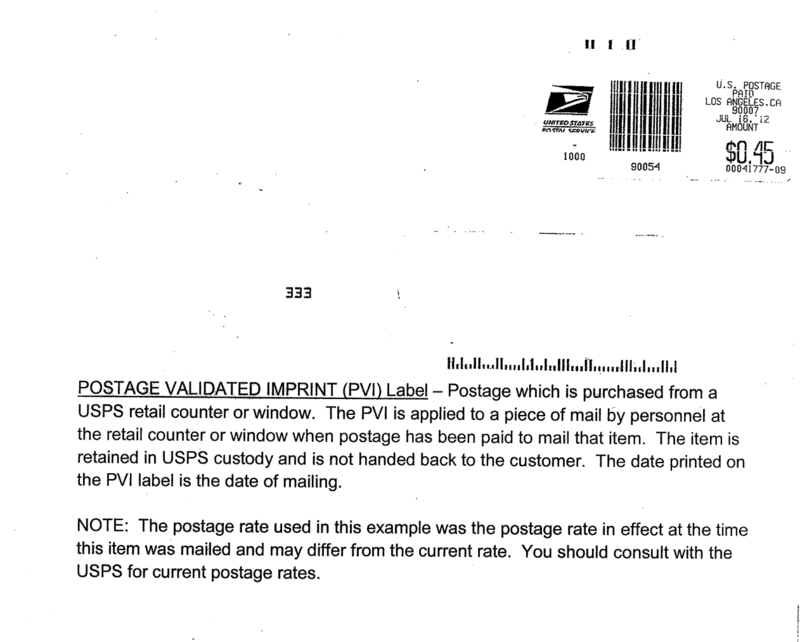 In the absence of a USPS postmark, we apply penalties based on the date that we receive your payment. 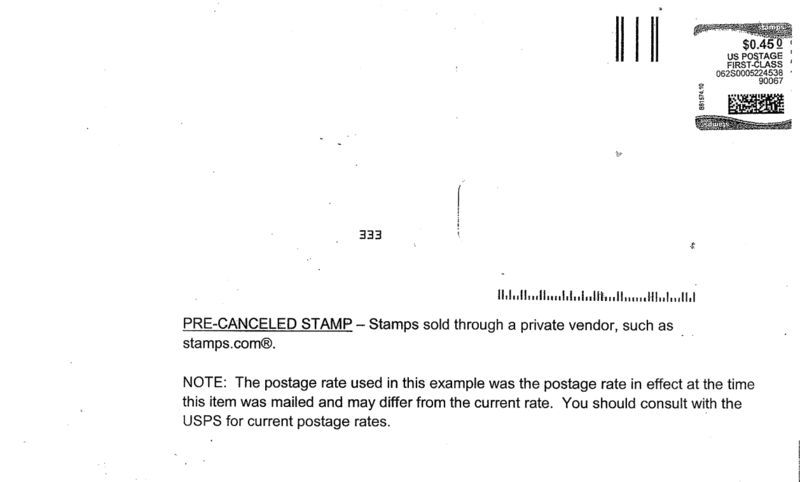 To avoid paying penalties and costs or to learn more, please read Avoid Penalties by Understanding Postmarks. WHAT IF MY BANK RETURNED MY CHECK? If your payment is returned due to insufficient funds, we will charge a $33 fee to your Unsecured Property Tax Bill and any applicable penalties will be applied retroactively from the delinquency date. WHAT SHOULD I DO IF I MAILED MY PAYMENT, BUT THE CHECK HAS NOT CLEARED, AND THE DELINQUENCY DATE HAS PASSED? If you believe your payment is lost, you may contact the Unsecured Property Tax Section at unsecured@ttc.lacounty.gov or (213) 893-7935, between 8:00 a.m. and 5:00 p.m. Pacific Time, Monday through Friday, excluding Los Angeles County holidays. We also recommend that you visit our Avoid Penalties by Understanding Postmarks and our Penalty Cancellation Due to a Lost Payment sections of our website for more information on how to avoid penalties associated with late payment of your property taxes. WHAT IS AN ESCAPE ASSESSMENT? An “Escape” Assessment is a correction to a personal property’s assessed value that was not added to the prior year Annual Unsecured Property Tax Bill. These “Escape” bills are usually the result of a taxable event that “escaped” the Office of the Assessor. You may be eligible to pay your property taxes due for escape assessments for prior fiscal year(s) without penalty over a four-year period, by enrolling in a Four-Pay Plan, if the additional tax is over $500. WHAT IS AN UNSECURED (PERSONAL) PROPERTY TAX FOUR-PAY PLAN? Property taxes due on escape assessments for prior fiscal year(s) may be paid without penalty over a four-year period if the additional tax is over $500 and the Four-Pay Plan is started before the delinquency date of the escape assessment property tax bill. IMPORTANT NOTE: Current Annual Unsecured (Personal) Property Taxes are not eligible for a payment plan. Receive a confirmation email once your application and payment is approved. Paying 20 percent or more of the escape taxes on or before the delinquency date on the bill in each succeeding fiscal year for the next four years. IMPORTANT NOTE: If you do not keep your Four-Pay Plan current or if you sell or transfer your property before you pay your payment plan in full, all penalties will revert to the original delinquency date, and the total bill will become due and payable. HOW CAN I FIND OUT MORE ABOUT THE PROPERTY TAXES ON MY MOBILE HOME? The Los Angeles County bills mobile home property taxes on the Secured Tax Roll, and the taxes are payable in two installments. In Los Angeles County, the Treasurer and Tax Collector’s Public Service Division has the responsibility of collecting Secured Property Taxes billed on the Secured Tax Roll. If you have any questions, you may contact the Public Service Division at info@ttc.lacounty.gov or (213) 974-2111. If you have prior year mobile home property taxes, please contact the Unsecured Property Tax Section at unsecured@ttc.lacounty.gov or (213) 893-7935, between 8:00 a.m. and 5:00 p.m. Pacific Time, Monday through Friday, excluding Los Angeles County holidays. WHAT IF MY MOBILE HOME HAS PRIOR YEAR DELINQUENT PROPERTY TAXES? For information on prior year delinquent mobile home property taxes, please contact the Unsecured Property Tax Section at unsecured@ttc.lacounty.gov or (213) 893-7935, between 8:00 a.m. and 5:00 p.m. Pacific Time, Monday through Friday, excluding Los Angeles County holidays.